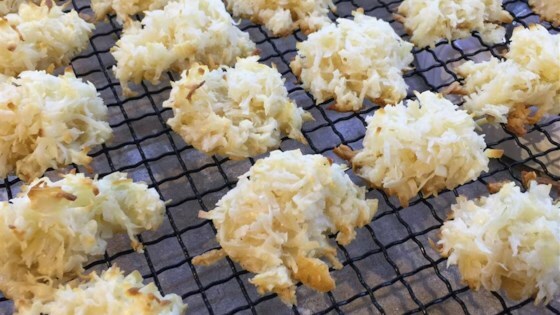 "This is a very simple coconut macaroon recipe that uses only 4 ingredients. Condensed milk gives it a richer flavor than most." In large mixing bowl, combine coconut, sweetened condensed milk and extracts; mix well. Drop by rounded teaspoonfuls onto aluminum foil-lined and generously greased baking sheets. Bake 8 to 10 minutes or until lightly browned around the edges. Immediately remove from baking sheets. Store loosely covered at room temperature.